ST. GEORGE — An aggravated robbery reported Thursday in Hurricane took only hours to solve after Washington City officers found the suspect sitting alongside the “victim” inside of a vehicle that also contained money and property taken during the alleged crime. 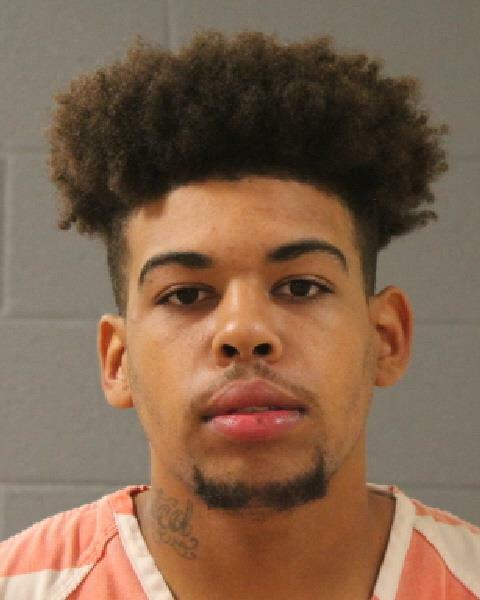 Jakob E. Grogan, 18, of Las Vegas, was booked into Purgatory Correctional Facility on one first-degree felony count of aggravated robbery early Friday morning. Andy Javier Velasco, 20, of Hurricane, was arrested and booked into Purgatory Correctional Facility for multiple offenses, including one second-degree felony count of conspiracy, one third-degree felony count of obstruction of justice and one class A misdemeanor count of providing a false statement preliminary with a warning. He also faces two class B misdemeanor offenses, including drug possession; mj, schedule 3,4,5 spice and one count of possession of paraphernalia, as well as a traffic infraction for failing to stop at a stop sign. The incident began shortly after 5:30 p.m. when a man – later identified as Grogan – entered the MetroPCS store at 1141 W. State St. and demanded money from a store employee while showing a handgun, according to a statement released by Officer Ken Thompson of the Hurricane Police Department early Friday morning. Grogan grabbed the money along with several cell phones before fleeing the store. Police responded to the business after an employee called 911 to report the incident, and during the preliminary investigation a description of the suspect was broadcast out to surrounding agencies, Thompson told St. George News Friday. Several hours later, an officer in Washington City was patrolling Buena Vista Boulevard at around midnight and made a traffic stop on a vehicle after the driver ran a stop sign, Washington City Police Lt. Jason Williams said. Once officers got behind the car to make a traffic stop one of the officers reported seeing the passenger throw “lit material” out of the window seconds before the driver pulled into the Chevron gas station and stopped the car. Officers allege that they smelled marijuana smoke coming from the car as they approached to speak to the driver. “Officers smelled burnt marijuana coming from the passenger’s side, so it was probably a roach that Grogan threw from the car and then witnessed by the officers,” Williams said. During the stop, police noticed that the passenger matched the description of the man suspected in the aggravated robbery reported hours earlier in Hurricane, and investigators were then called to the scene. Grogan also had an active warrant out of Washington City for an unrelated retail theft reported weeks earlier, Williams said, and officers recognized him from that incident as well. 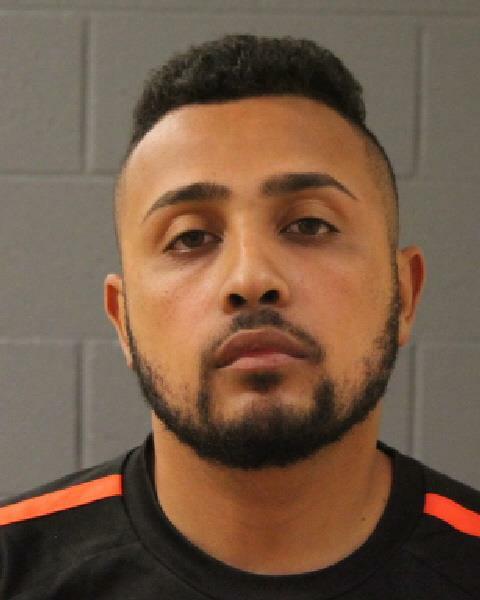 Hurricane detectives arrived and recognized the driver – later identified as Velasco – as the MetroPCS employee who was interviewed by police, reportedly the “victim” that had the gun pulled on him during the crime. “So, it appears Valasco was in on it, and the crime was an inside job,” Thompson said. Charges against Grogan were filed by the Washington County Attorney’s Office later that did not include the first-degree felony offense of robbery since the “victim” in the police report was later alleged to be an accomplice to the crime. Instead, the charges filed include one third degree felony charge of purchase/transfer/possession/use of a firearm by a restricted person, along with two class A misdemeanor charges, including one count of retail theft and one count of theft by deception. Three class B misdemeanor charges were also filed in the case, and include one count of drug possession- mj, schedule 3,4,5 spice, one count of possession of paraphernalia and one count for failing to disclose identity. Grogan is being held on $31,950 bail. No felony charges were filed against Velasco. Rather, a total of three class A misdemeanor charges were filed which include one count of theft by deception, one count of filing a false police report and one count for obstructing justice, according to the indictment filed with the court Friday, and no felony charges were filed. Velasco is being held on $18,310 bail. Both men are scheduled to appear in court Friday afternoon to be arraigned on the charges. ???? Isn’t conspiracy to commit a felony also a felony? If you contract to murder someone, you are also held responsible, why not here? Seems like the Valesco thug should also have a felony. WTH? I think integration into our society is important and I thank these two for bridging the race problem and going down together.